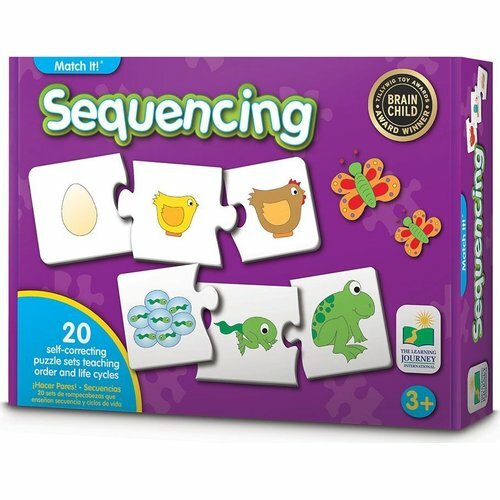 This colorful box of 20 sets of sequencing puzzle cards provides children with an introduction to the ordering of life cycles and events. each card set introduces a life cycle or event that needs to be ordered from left to right. the cards are self-correcting as no two puzzle cuts are the same. match it! sequencing teaches cause and effect and the basic elements of reasoning in a fun and easy way.